Quality, Reliability and professional approach to your project. Our experience in dealing with custom home builders, designers, contractors and homeowners, will guide you through the many decisions affecting your project. We also specialize in thin, large format porcelain tile or slab. This newest trend in tiling is extremely durable and easily complements any style. Thin Large Format Porcelain panels can be use Interior, exterior, floors, walls and shower surrounds . Sizes as large as 120"x 60" allows installations with few or no grout joints giving the appearance of a natural slab. © All Rights Reserved. 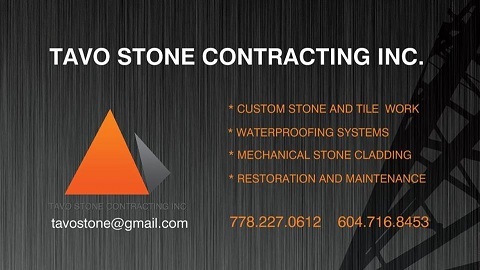 TAVO Stone Contracting Inc.